Product prices and availability are accurate as of 2019-03-03 10:50:34 EST and are subject to change. Any price and availability information displayed on http://www.amazon.com/ at the time of purchase will apply to the purchase of this product. BrassCraft 3/4 in. Fip x 3/4 in. Fip x 12 in. 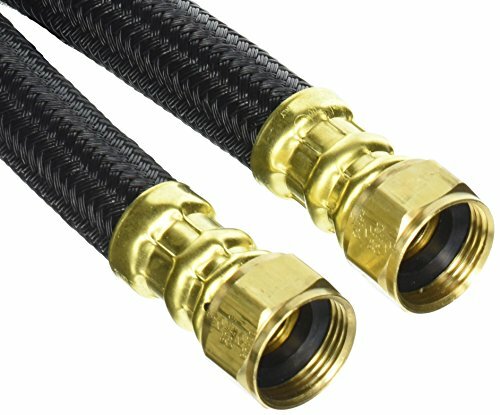 Polymer braided water heater connector (0.57 in. I.D. 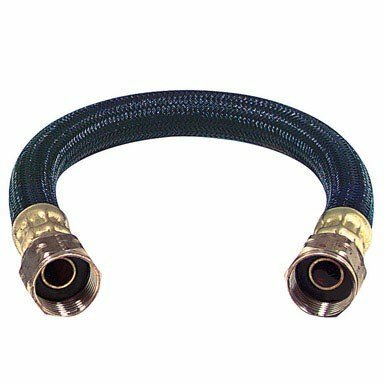 ), also known as speedi plumb plus connector, combine advanced corrosion technologies with state-of-the-art manufacturing to provide the most flexible, corrosion resistant water heater connector available on the market today. Speedi plumb plus patented polymer-braided jacket is specially engineered to be less abrasive and more flexible than the leading connectors.